The Avondale Fire Company had a very busy weekend. It started at 0619 hours on Friday morning, April 5th. Avondale was dispatched to assist Aetna Fire Company of Newark, Delaware on a gas leak. 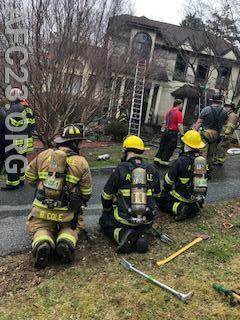 Soon after Engine 23-1 responded, they were recalled and redirected to a working house fire to assist Mill Creek Fire Company on Jackson Ave. Engine 1's crew stood by the fire scene before being released by command 21. 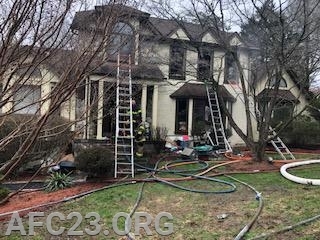 Engine 23-1 was on the way home from the previous call when Hockessin Fire Company had a dispatched house fire in the 1700 block of Brackenville Road. Engine 23-1's officer (B. Cole) advised NCCFB they were in the area and could respond. 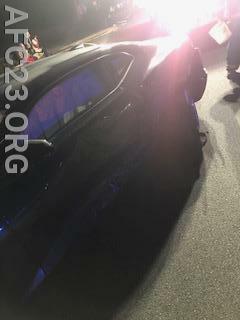 Deputy 19 requested our engine to respond. Deputy 19 arrived to find smoke showing and a working interior fire. Engine 23-1 arrived as the 4th due engine. As crews arrived, they stood by for the RIT Assignment. Engine 23-1 was then asked to secure the utilities in the basement. Crews found the basement access in the high heat and secured the utilities. The crew then began assisting in overhaul before being released a couple hours later. After being released, the crew assisted Hockessin's standby (Engine 24 Kennett) with a brush fire in Hockessin's first due. Crews got that under control and were released soon after. Final units cleared New Castle and returned into Avondale around 1330 hours. Special thanks to Lancaster Christiana Tanker 52 for standing by while we attended these incidents. Then Saturday Avondale started the day off with a fire alarm in Somerset Knoll around 0945 hours. 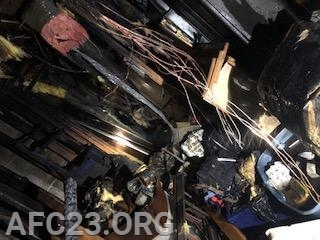 Crew found burnt food to be the cause of the alarm. Rescue 23 then took a medical assist to a local nursing home. Rescue 23 was then requested to extinguish a control burn. Around 2355 hours crews were dispatched to Gap Newport Pike and Route 1 bypass for a 2 vehicle accident blocking. Ambulance 23-2 arrived to find 2 vehicles blocking. Crews assisted with blocking and lighting. Avondale crews then traveled to Chester County Training Center for Firefighter Bilski's Friends and Family day on Sunday. Engine 1 and The Chief were in attendance. As crews were leaving the training center Hockessin was dispatched for a house fire. First arriving crews arrived to find a working house fire and requested the second alarm assignment bringing Engine 23-1 and Rescue 23. Tanker 23 was also requested as part of the tanker task force. The engine company assisted with roof ops and overhaul. While Avondale crews operated at the house fire, Lancaster Tanker 52 relocated the Avondale local. While on stand-by, Tanker 52 ran a Medical assist along with a reported accident. Crews arrived at the accident to find no injuries and 2 vehicles off to the side. With no services needed, Tanker 52 returned to Avondale to finish their standby. Finishing off Sunday night around 1815 hours crews were dispatched to assist the Cochranville Fire Company (27) with a residential fire. Chief 36 (Griffith) arrived to find a small pile of trash in the front yard. Chief 27 held the assignment to all 27 units. 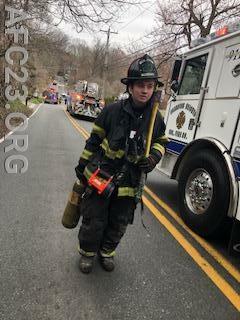 Special thanks to Christiana Tanker 52 for standing by while we attended these incidents. This is the 3rd time that Lancaster Tanker 52 has stood-by for Avondale this week! Huge thanks!! Friends and Family day for FF Bilski!